Photo Galleries Christmas Tree Festival Poppy Concert My Rotary - As the first female member in Aldridge Beer & Buses Festival Aldridge Health Walk My Rotary - Fitting it in around work Youth Activities & Competitions Woodlands Family Adventure Day Get Involved My Rotary - No-one in my family had been in a service club Tree of Light My Rotary - I didn't think that I could afford it. Fun & Fellowship Rotary Shoebox Appeal Remembrance Parade Awards Santa's Grotto Annual Poppy Appeal Garden of Reflection Community Service Lend with Care Microfinance Are you interested in Joining Aldridge Rotary Club? 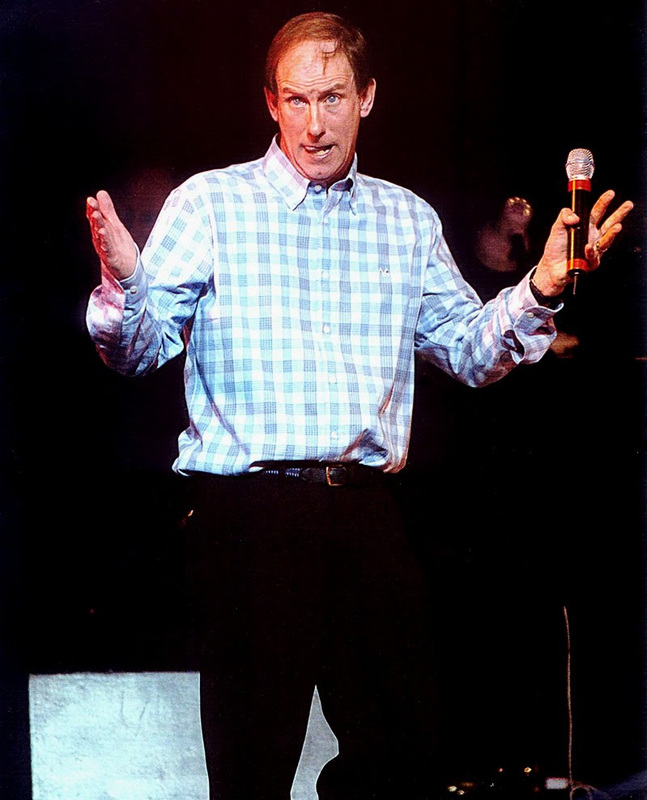 We are looking forward to welcoming a past favourite Doug Parker with his music & laughter show. A clean comedy act. All welcome. Further details to follow. This will be the third time over a number of years that Doug Parker and his friends have entertained us and it is always a fabulously funny evening. 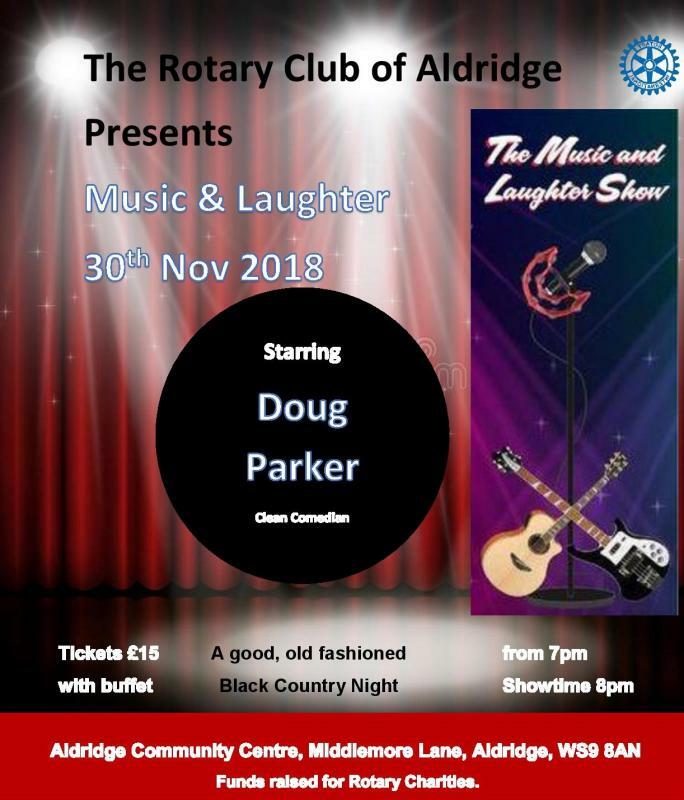 Doug is a clean Black Country Comedian and in this show combines music and comedy to keep everyone laughing all night long. We have kept the cost as low as it has been over the last 4 years for this event and although that's a bit of a push for us we are aiming to get a big crowd in so get your tickets early. The event is being held at the Aldridge Community Centre on Middlemore Lane. There is a fully licensed bar at this central location which is easy to walk to for local residents, can be accessed by bus and a short walk, although if you are driving there is plenty of free parking.